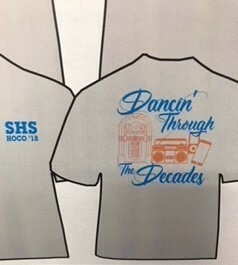 Homecoming t-shirts will go on sale Monday, September 24. The deadline to order is Friday, Sept. 28. The Homecoming theme is "Decades," which travels back in time over various periods of the 1900's. Order forms have been sent home to elementary students. The public is invited to order and pay through the Smackover High School office.